Having purchased your home, Commitments Protection believe you are entitled to fully protect it. At Commitments Protection we feel it is very important to have protection for your financial commitments, we believe that having a safeguard in place, reduces your financial risk and the exposure of financial uncertainty. We feel it is essential to have the correct level of Buildings and Contents insurance arranged so there are no nasty surprises later. 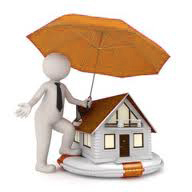 Any insurance policy is very personal to you, your home and your belongings, so we want to be sure that you have the correct level of cover in place for the best possible price. Our advisers can help you make sure you have the appropriate level of cover in place, to reduce any financial risk.